The house is full of strange bustling, there are new noises and new smells … and where is that tree going? Disconcerted by all the strange activities, Mog escapes to the roof, and there she stays – until, unexpectedly, she returns with a bump! 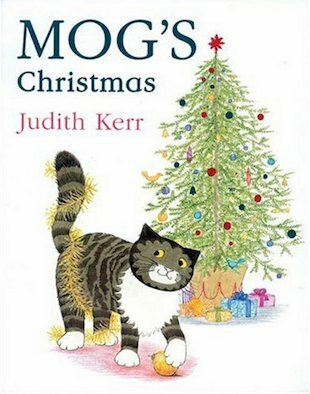 A deliciously original look at Christmas from a cat’s perspective, featuring Judith Kerr’s much-loved character, Mog. Got this from the library, nice book and story but didnt like it enough to buy it.